Adobe Flash Builder 4.7 software is a development environment for building games and applications using the ActionScript language and the open source Flex framework. Flash Builder Premium includes professional testing tools such as profilers, network monitoring, and unit testing support. Work for Adobe Flash Builder? "Adobe Flash Builder for Game Development?" I used Adobe Flash builder for game development so the most feature I like about it is the support for Action Script which was earlier not present on the Adobe Flash Builder. With ActionScript, I can build games better, secure and efficiently. Also, it provides support to create games for both platforms i.e. iOS and Android, it has emulators for respective platforms to test and run the games and to give stimulation of how to game would look on real devices. I have used Adobe Flash builder extensively and over my duration of use, I found nothing displeasing about it. However, it uses a lot of my system ram and it's expensive at least I felt that way initially but it's worth the price you pay. I would definitely recommend Adobe Flash builder for game development since it provides the platform for both iOS and Android. However, I would not recommend it for web development since most people are migrating towards JavaSript than Flex. Also the price it's expensive but it's worth the price for the features it provides. I have been using this product for game development for both the ios and Android platforms. Earlier I used Adobe Flash builder for building Flash games. Adobe Flash Builder also includes emulators to stimulate how the game would look in target devices. It also allows me to flawlessly go through development workflows to speed up the process and thereby increasing my productivity. Also having a built-in Adobe Scout Support can come in handy. "Adobe Flash Builder for game and application development"
The best feature I like about the Adobe Flash Builder is built-in Adobe Scout Support it assists in developing games and other applications. Apart from that the support for ActionScript and Flex in the newer version. Both ActionScript and flex makes game and web application development easy. It can be a bit confusing when you start fresh. Hence one must learn how to use Adobe Flash Builder although it's pretty easy to learn. Also, most of the good features are premium i.e you have to pay to get them. If you are willing to spend money then there is nothing much to dislike about Adobe Flash Builder it worth spending for, for the props you get. It's an expensive product, so for the first time user I would recommend looking for other product with similar features get used to them and then shift on to Adobe Flash Builder. If money is not a question for you then go for it its worth the investment. I have been using Adobe Flash Builder for game development for both the mobile platforms ios and android. It's very easy to develop games using ActionScript and with its built-in Adobe Scout support that assist with tools for game development. It also provides the environment to stimulate the games on the target platform. Furthermore, I don't have to use other testing product since Adobe Flash Builder provides local connections for testing. "Game and Application development platform"
The best new feature for Adobe Flash Builder would be the support for ActionScript and Flex. They are my go-to languages for game development, animation designing and creating content-rich web applications. There is nothing much to dislike about. It can be very confusing at first to get started but with a slight learning curve, it's really easy to learn. It lacks a timeline for animation which can come in handy when working on a large program with a lot of animations. It's a system resource heavy application and will take longer loading time and run time depending on your project. Also, it sure consumes a lot of RAM too. I would recommend this software to those who are into game development and animation designing.Also to those who are into developing web applications.It's expensive true, but really worth your money. Being a tutor, I use Adobe Flash Builder to teach Game development to recruits since it supports ActionScript.It is so great since that I have to teach only 1 product instead of 3 products. Having built-in Adobe Scout aids with a plethora of tools that help in creating a game and other application. Furthermore, I also use it to teach animation designing. 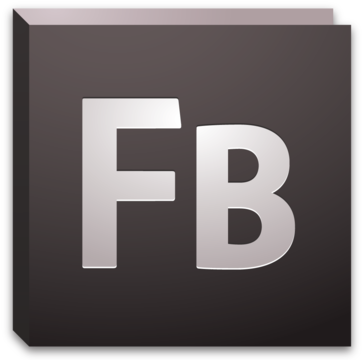 Also, I use Adobe Flash Builder for creating rich web applications using Flex support. Using Adobe Flash builder I have created my own blog to post articles of my cooking hobby. "Adobe Flash Builder :-Best Game and Application development platform." The best feature I like is the new ActionScript and Flex support which was not present earlier.It has new and improved tools and features which enhanced my productivity and that's just icing on the cake.It also has built-in Adobe Scout Support which helps creating game development and other application. It requires a bit of learning curve to use the program.It lacks the timeline when it comes to animation.If you build larger application with lot of animation you will face problems.It is a resource heavy application use wise and takes long loading times. Study the product closely before deciding to purchase the product.The smart thing to do would be to jot down the various important elements that need consideration such as key features, finances, skill levels of workers, company size etc. Then, research thoroughly. Read some Adobe Flash Builder reviews and look into each of the alternative programs in your shortlist. I use Adobe Flash Builder for Game development since it supports ActionScript.It also has built-in Adobe Scout.This aids with wide array of tools that help to create games and other applications.I also use it for creating static animation website and light animation designing. "Una de las mejores en desarrollo de juegos y aplicaciones móviles." Lo que más me gusta es poder programar con ActionScript, ya que es muy fácil de usar en comparación con otros lenguajes.Además el editor WYSIWYG facilita el trabajo ya que podemos visualizar lo que se va programando. La función de autocompletado permite que la programación sea más fluida y más rápida, es una gran ayuda. No es tan fácil de entender si no tienes conocimientos previos. Uso este software como herramienta de aprendizaje, ya que me ayuda a analizar la estructura en la creación de juegos y desarrollarlo. El lenguaje de programación facilita este proceso, es sumamente fácil por lo que ayuda en la comprensión y en el desarrollo de aplicaciones web. Es muy fácil (sobretodo si tienes conocimientos previos) crear juegos para móviles. The interface which I used among all the best is the product be Adobe. The tools the application has provided are very much use full to the new technology. The different tiles given are the most versatile I have ever seen. The interface which I used among all the best is the product be Adobe. The tools the application has provided are very much use full to the new technology. The different tiles given are the most versatile I have ever seen. The interface which I used among all the best is the product be Adobe. The tools the application has provided are very much use full to the new technology. The different tiles given are the most versatile I have ever seen.The interface which I used among all the best is the product be Adobe. The tools the application has provided are very much use full to the new technology. The different tiles given are the most versatile I have ever seen.The interface which I used among all the best is the product be Adobe. The tools the application has provided are very much use full to the new technology. The different tiles given are the most versatile I have ever seen.The interface which I used among all the best is the product be Adobe. The tools the application has provided are very much use full to the new technology. The different tiles given are the most versatile I have ever seen. The interface which I used among all the can be improved is the product be Adobe. The tools the application has provided are very much use full to the has become old technology. The different tiles given are the most versatile I have ever seen. The interface which I used among all the best is the product be Adobe. The tools the application has provided are very much use full to the new technology. The different tiles given are the most versatile I have ever seen. I was able to complete my project in time and with the best possible way. "Easy to use and very efficient"
I really like the ActionScript support since it's a very easy language to learn and it's ideal for programming animations. The user interface is simple and intuitive, although basic knowledge is needed to understand it. It has an autocomplete function that helps me write the code. Adobe offers a lot of documentation to start using it. The menu has many editing and animation tools that are easy to apply an, combined it with the use of code I consider it to be quite flexible software and almost anything can be done. There're other softwares that are emerging and are gaining ground in the design of web applications, so I feel that Flash Builder is being left behind, which is a shame because it's a software with a lot of potential. It's a software with a lot of potential, which can be a bit difficult to learn if you don't know other Adobe products, but its website always uploads content that can help you a lot in your learning path. I started developing animations in Adobe Flash some years ago, so using Flash Builder has been easy. I develop web applications and one of my goals is to develop games and I have been using Flahs Builder to achieve it. It is an excellent design tool, easy to learn and with great potential. I love that this software is very easy to use, a monkey like me could us it! What I like most is the ability to integrate development environments. This platform speeds development of rich Internet applications (RIAs) and cross-platform desktop applications, particularly for the Adobe Flash platform. I don't like how difficult it is do download and get started. It can be very confusing at first to get started. But once you are started it is really great. I enjoy working with most of the adobe products. They are pretty simple to use and keep using. I love that I have the ability to login and get everything done at once instead of having to wait. It allows me to integrate from multiple platforms into one simple solution. It is also great because I only have to learn one product instead of 3 products. "A builder of your games and applications"
Adobe Flash Builder is a game and application development platform with support for ActionScript and Flex. With Adobe Flash Builder, developers can also further enhance their productivity. That is because the platform has improved tools and features. On top of that, the environment enables developers to create games and apps for iOS and Android on Windows and Mac machines. Additionally, the Adobe Flash Builder interface is designed in a way that lets developers write codes faster. It enables it through features like statement completion, which automatically completes code lines, to allow developers to move on faster to the next line. What i dislike about adobe flash builder is that the cost is high. Also, it uses a lot of my system ram and it's expensive at least I felt that way initially but it's worth the price you pay. I have been using this product for game and application development for both the ios and Android platforms. Adobe Flash Builder also includes emulators to stimulate how the game would look in target devices. It also allows me to flawlessly go through development workflows to speed up the process and thereby increasing my productivity. "Flash Builder is an excellent tool for developers"
Lacking the timeline is a pain when it comes to animations. If you want to develop an application larger than the one that requires some animation, you will have some problems to do it in Flash Builder, it is much more difficult than if you do it in Flash Professional. is usually exaggerated. Is a complete IDE, with auto-completion, debugging capabilities, error detection and visual editing. Is a commercial solution for the development of Flex applications, you can change from one side to another, when you know what you are doing and keep in mind that not all functionalities overlap (FB: no timeline, no scenes, Flash: no MXML). It works like an Eclipse plugin. Adobe Flash Builder is a very good development environment when developing an application with ActionScript. I have used it since the IDE eclipse and it is a tool where there is enough documentation on the web and in which there is a wide development to enrich an Internet application. Adobe Flash Builder is very easy to use, I find it comfortable because it includes what IDE needs. and how not to be if it is written on the Eclipse platform, which is already one of the best development IDE. I like that it comes in two editions for the end user, standard and premium. The Adobe Flash Builder it’s built on Eclipse platform and has all the things and all the tools for MXML content. The last version that I used 4.7 comes with all the stuff you need for mobile development like games and applications. With Adobe Flash Builder we solved our problems about the needed apps. We are able to create our own content. And I think that this thing is useful for us and our time. We can have a main application and we can use it each time in order to try different things on it. "THE software to use for building any Flash based application!" There really is nothing to dislike with the time I have spent using this software. It is easy to use, does a great job at what it does and is easily accessible from Adobe. Keep regularly updating the software and please do not change the interface! Updating and expanding the companies various departments websites. Knowing that the site is going to look the same on different OS systems is the greatest benefit of using this software. "Great product and better platform"
I love how easy it is to navigate the tools. I have tried other platforms in the past and I have to say this one is one of , if not, the easiest to find my way around it. Take the time to read Help documants if you are lost with anything. They have everything you need help with in there. Getting started was pretty simple. You can figure out pretty easily how to put together and edit simple animations pretty quickly without having to do a lot of research before hand. Once you hit that learning curve wall, it is quite difficult to get over without spending time on online tutorials, videos, or even classes. So you're pretty limited unless you have the time or money to get the necessary help you need to become proficient with the program. I've created short animations teaching people how to learn how to play piano at the very basic level by having a song playing in the background and a keyboard and hand in the frame. The flash animations were simply me highlighting the corresponding right hand G clef note being played at various speeds along with the proper finger. "Great IDE for building Android apps." I love the fact that Adobe Flash Builder is built on the Eclipse platform and it delivers full support for building Flex and ActionScript apps for Android, as well as support for building ActionScript apps iOS. Their SDK has the components and capabilities I need along with integrated support for other Adobe products. But what I do love is the SDK for gaming for our mobile app development team, this is new territory for us moving into the video gaming development for mobile and using Flash Builder 4.7 with the gaming SDK has been a great experience for myself and our team. The only issue I have with Adobe Flash Builder is dealing with the Adobe update and always needing to make sure flash player is working in my browser in order for it to work correctly. Other than those tiny little issues the software is great and runs smoothly about 85% of the time. We have been using adobe flash builder to work on our AI project that we're currently building for our app that we working on for the past two years. Most of the team come from the Eclipse platform and it works a lot better for most of us than Android studio, not as buggy and laggy. Our programming team seems to love using it for android and IOS app project along with some web-based project that we do. The main benefit is that the IDE is very easy to use and learn, not as complicated as some of the other IDE's out there for users who are new to building mobile and web-based apps. "Very good animation design application"
Action script is one of the flexible scripts available to design animations. The features I like most is the interface. It is fluid and offers features to edit animations using drag and drop, and also by using scripts. In addition to the software, there are a lot of active developer communities to support new designers. It also has a lot of support on the internet to resolve problems easily. Its kind of disappointing about the software is that it is becoming outdated. The developers aren't focused anymore to bring up new features. A lot of new applications have been taking place of this software. Another drawback of this application is action script doesn't offer to design dynamic animations, which is supported by many applications these days. Check your requirements and decide to choose the software or not. Static animation website building, animation designing. "Developing app with Adobe Flash"
Adobe Flash Builder, is an integrated development environment for the family of multimedia platforms that uses browser add-ons to offer dynamic and attractive content through the browser, its ide is based on java eclipse environment and in the mudo of the development is compared with the Microsoft Expression suite. The ram consumption is very high, therefore it demands the end user to have a PC with high resources in order to enjoy the heavy load of the contents developed under adobe flas builder. The difficulty of generating a dynamic page of interaction with the end user continues, that is to say, it is almost impossible to develop a complete and interactive page entirely in Flash, which has advanced options such as forms, databases, surveys, etc. which is why it is almost impossible to register users, create virtual stores, classifieds, portals, etc. I use flash, for the development of dynamic presentations in the company as well as advertising campaigns that through large screens make the view of the user or final consumer attractive. It is also used for the automation of catalagos of products of the company example: list of services, telephony hardware showing its operation. "Fine experiences with Adobe Flash Builder "
I like that for the most part it is easy to use and does not require a lot of previous knowledge to be able to use it. I think compared to other systems it is a very well thought out program in terms of the user interface. I think that overall the program is very efficient and effective and I would recommend to other people in the research industry if they have similar projects. I think that once you try to use AFB for more advanced things it can be very challenging to figure out the details. There are a lot of features that could be improved to make it easier to use this program for a range of intended purposes. It would also be very convenient if the price was reduced or if it was packaged with other programs to make it easier for small businesses to purchase this program. I think that having better help systems when people are confused or stuck on something would be very beneficial. Adobe Flash Builder has been able to solve some of our business problems in regards to our research. We use AFB to build applications needed for different experiments. I think this can be very helpful in time management during our research projects. Having a application already set up that we can use each time we conduct the experiment makes research projects that have time constraints a lot easier. I really like that Adobe has incorporated ActionScript! It makes the task easier! I started doing small animations in Flash and the migration to Adobe Flash Builder was easy. Creating games is still a hobby and I am still learning, but for now I have fun experimenting and this software gives me all the necessary tools for learning. I really like that it adapts to the iOS and Android platforms and also, the support is excellent. I have to admit that the software is quite heavy and a bit expensive, however it´s worth paying Although its free version is very good. I think it's very friendly and intuitive, but if you're a beginner it will be a bit difficult to learn. The Adobe website has very good tutorials to get started. This software has all the tools to create excellent games! It is intuitive and friendly, although it requires a little study of the software to start. For now I use it to learn and prepare myself since one of my goals is to create games and take advantage of them, but for now I use this software to learn and improve my skills! greatly simplifies my work with projects. "Nice IDE, great concept, but the future of Flash is bleak right?" Debugger and compiler are valuable for UI development. UI preview and layout designer are really nice too, although UI designers for web development are becoming more rare. Flash was essentially killed by Apple a number of years ago, it may not have been inevitable, but it's the reality now. Adobe stopped making improvements for Flash Builder a few years back and handed over the future to Apache Flex, so styling and improvements in the Flash realm have been stagnant. This is a nice tool to maintain a legacy Flash application, but unless things change dramatically in the coming years, this will be strictly used for legacy maintenance of 'unsupported' Flash applications. I created a rich-web application in 2009 using Adobe Flex/Flash Builder. The product has had a nice 9 year run. Very stable in its own right. Browser support and security warnings about Flash have cropped up over the last few years which has impeded a few customers. The application I created uses standard REST web-services exclusively for its data transfer for all application activities. The work flow of the application are all managed by Flash. A certain amount of obfuscation is provided by Flash and the applications produced are essential impervious to bots seeking brute force log-in attempts. There's no easy "view source" for a produced Flash SWF file. "Adobe Flash Builder Makes Working a Flash!" I enjoy the layout of this software and its ease of use. I use it throughout the day while working in a broadcasting department and it was not given me any problems thus far. I am new to the program, but like it so far! I do not have much to say negatively about this software yet, but I have noticed small tweaks that could be made to make the beginning stages of this much easier to learn. Luckily, I have a team around me that knows this programs and is able to easily help and guide me through this. I enjoy this product because it makes certain aspects of my job easier. Like I said earlier, I am new to the program, but like it so far. I use it for the majority of my day. I am able to create beautiful internet based programs that I would have had to spend hours doing manually on my own. This makes this very easy for me. Like I said earlier, have a team around me that knows this programs and is able to easily help and guide me through this, so I am very thankful. I have confidence that this program will become easier and easier to learn and that it will continue to help greatly. "Adobe Flash Builder is easy to use and it can help you to gain experience"
The product is simple to utilize. There are useful plug-ins inside the product to utilize while requiring help. Flash-builder 4.7 with Action Script is an awesome redesign and aids a less complex strategy to making games and applications. The new updates are awesome, however once in a while the product is very slow for me. There is a probability that it is the PC, yet on the work area I am utilizing, there is in some cases with the same issue..
Change content size and add extra images to the increase highlights, and also some tutorials or video tutorials can help the user. "Use Flash Builder to maintain your legacy code"
It is built based on Eclipse, so they did not try to re-create an IDE from scratch, so it is familiar to users of the eclipse IDE. It is cross platform so you can use it on both Windows and Mac machines. It is often quite buggy and no longer maintained. The program may crash often and requires an older version of Java in order to operate. Use eclipse and install the necessary plugins manually. Providers a more effective way to work with as3 code and produce flash SWF files and keep them organized. Can run external applications within eclipse to compile the SWFs. "development of adobe flash builder"
I also found excellent client-side data management and paging features that bring efficiency to large data set handling. Further, the new speedy two-way data binding dramatically simplified database updates without extra coding -- a nice touch for a common task. ith productivity the name of the game, I was surprised that Adobe Catalyst was not synced to Builder's release. (Catalyst is a companion tool languishing in beta that lets designers visually create forms and interfaces, wire event triggers and interactions, and then pass them off to developers for completion.) Builder 4 may become a tougher sell without assurances that all of the pieces of the platform are in place and properly supported. Flash Builder has you covered, supporting ASP.Net, J2EE, HTTP/REST and SOAP Web services, PHP, BlazeDS, ColdFusion, and LiveCycle Data Services for streaming data. Adobe Flash Builder is very user friendly especially for entry level or anyone starting out. Adobe products are pricey and the company does not pay for the program to use at home. This is problematic when I have to finish work elsewhere that's not at the office. Consider finding a cheaper alternative when starting out. Adobe Flash Builder helps the software engineers in the business create the program UI on our website. The benefits are that the abilities flash builder has is very extensive. There's already a huge database of information to provide us ideas and support. Flash isnt integrated automatically in browsers and if a license is bought it can prove to be a boost for the same. With the help of Adobe i was able to create various flip books using Indesign and flash. With this the sales can easily increase as it reduces cost of print. "Decent program but little use in the future." Adobe Flash Builder is one of the easier programs to get into, for me. It took me less time to figure out how to navigate through out and then start doing complex actions. Flash is starting to become less common and less used. Adobe Flash Builder is not something that many would use in the future, so it's not as good to learn now. It's a plus to know, but it's not very viable in the future. Building flash was never as easy. It made shipping products with flash much faster. "Adobe Flash is easy and effective"
In the latest versions the WYSIWYG designer is gone, which in my opinion makes it easier to use, ESPECIALLY if you are a programmer. I guess it might make it more difficult for those who do not know how to use it. If you have too large of a project, it does start to act up and run slow or freeze. I really dislike that it is not permitted for apple devices and that it can be a tad bit pricey. Study the product closely before deciding to get. Sometimes the software can not handle larger products and may not be the right program for your company. I personally love it, but everyone has their own opinion. You have to get the IDE if you are going to use this program. It is good for people learning how to use it and you need to have videos and other tools to be able to use this program more efficiently. "It was ahead of its time." when i started working web did not had html5. It was all flash and flash builder was the king.it makes writting actionscrpit so easy.I made alot of games and fun animations to show off in it.it makes so easy to make internet rich applications and it is cross platform. your applications will run on all platforms in same way with flash player.auto complation and debugging tools were amazing. lack to access of timeline was very disappointing.it has no mobile support especially apple devices.right now it is outdated.superior technologies have taken over. there is a lot of documentations available if you want to do through with this.wide user support at its ptime. i amde alot of portfolio animated websites in it. i made some small but fun games in it. "Build animation and action for games easily"
Adobe Flash Builder provides an easy way to build animation and graphics for game and applications. It also support Action Script so it makes easy to write an event for objects. I would like to recommend this software to build animation and graphics. This is good id you want event in your animation. Create flex banner and animation for different mobile application and games. "Developing action scripts with flash builder"
BlazeDS, ColdFusion, and LiveCycle Data Services for streaming data. Coder-centric environment has steep learning curve. Software is for designated for coding experts only. Could not export to mobile devices. Powerful testing and coding features are available only in the Premium edition . Export to mobile device feature can be added. I used flash builder to develop mxml UI for one of our loan origination systems. "It is a reliable product, and I enjoy using it!" I like that the features are easy to navigate if you have prior experience working with Flash and developing applications. I like that it has the ability to import other projects with ease. I think that the UI (overall interface) would benefit from an overhaul. However, that doesn't affect the functionality of the tool overall. I recommend that the UI be worked on for beginners to understand the program a little bit more. It would also benefits from more helpful videos or tools throughout the software to understand Scripts, etc. I use it in business when developing apps, and to better understand my knowledge of mxml applications. It is similar to html, and it comes in handy at times. One of the benefits has been better understanding code for all areas of of website and graphic design business. "Ultimate software to build applications"
This is the best tool to build applications and games. this is very easy and quick software to build the applications. The best feature I like about Flash builder is the User Intefface Controls; Using this , Horizontal sliders can be added very easily. Although this is a good tool but this looks bit complex to freshers. Also we have to pay to use its whole features. Yes I recommend others to use this software to build games and applications. I am using this to build mobile applications required as per customer demand. The main benefit is that it provides the local connection for testing. So no need to use any other products for testing. "Great tool for working on and organizing your projects"
I liked how I could have my code synced quickly and that I could test all our software via Flash Builder itself. the program was clunky at times where things didn't always work the way you wanted them to. make sure its what you want / need but if so, its a great tool! Our entire business relied on it as most of our front end development was done using Flash builder exclusively. "Past its prime software for web media"
Once you learn how to use flash it is a great program for learning animation. It is kind of out dated these days though. It is not compatible with some devices. Load time is slowwwww. It is pretty unnecessary with flashy graphics that get in the way. In the past graphic websites but nowadays it is good for games and programming apps. "Nice tool but obsolete technology "
"Awesome Development Kit To Work With. Rapid And Secure Software Development. " I was introduced to this during my thesis year in University. I had to chose between this and Symphony. As a PHP enthusiast, I was leaning towards Symphony but after realizing that Flash can integrate with a host of backend scripting languages like php and java; I decided to try it. At first it was difficult to connect the front end to the backend in a MVC/OOP required application. After a week, I was able to do so by simply creating interfaces on the fly and push them to my database- MySQL. I used php to do so and the ease in which I was able to develop my php classes, services and still use that to connect my MXML/Actionscript front logic to the DB was amazing. The front end is very easy to create. Not too many hassle in creating it and the components are easy to work with. There are a variety of objects that are available, custom components can be developed and even merging various components into one and still be able to call that instance was so interesting. I developed a management information system for a hotel chain and amusement. This system managed everything from inventory, food preparation, services to sales and accounting. It gave a total over view of the company's business at any given time. Of course, there was lots of AI in there and the Actionscript mixed with the php gave the flexibility of creating objects on any side and have them instantiated anytime. The use of the Singleton Model in developing software using Flash is very instrumental since it helps with creating user modules, global variables, authenticating and many other functions. The best thing is the fact that Flash can create some very secure and stable applications. The code can be hidden and the fact that it runs in air of flash has lots of advantages. People complain about how heavy it is but we have the bandwidth to accommodate it. I have developed systems which were very data intensive but the data only got called when necessary. This reduces the load time and when a new action was called, the data calls ended, thus helping the user to navigate easily. Flash gives developers total control over their application and code base. It offers a very rich internet feel and user experience and can also be integrated into HTML5, in areas where it would be obviously difficult to develop certain components. In all, I would recommend Adobe Flash to young developers and seasoned ones too. 1. That people often discredit it for being too resource demanding. Study your requirements properly, determine the scope of the project and if its a large scale roll out, with the need to extend on a very data intensive, rich user experience, secure solution... Then go right ahead and chose it. Many, I developed many secure financial software and the data can be very well hidden and secure. Clients enjoy the feel especially that of the Datatgrid. "I needed a short Flash slideshow for our company website. So Adobe Flash was what I needed. " Drag and drop capability. Once you imported the library the images were drag and drop and then you just adjusted the transitions and a short time later....you had your slideshow. The transitions were not real clear without some research into the commands. But once self-taught, everything went smoothly. If you're a first time user, look up basic commands and functions first. Needed a rolling slideshow for our home page. This was able to create that slideshow. "Still the Best for Flash/Flex Projects"
It is, in my opinion, the de facto standard for Flash/Flex based projects. In the latest versions the WYSIWYG designer is gone, which might even be considered as a plus if you are an experienced/serious programmer. Lots of great editing and project handling capabilities inherited from Eclipse, as well as lots of additions including profiling. * Once in a while the IDE acts up and decide not to work any more, which is simply fixed by re-creating the workspace. * The compilation speed does not keep up to the editing capabilities. * There are certain auto-completion and syntax highlighting errors. * For a little more complex errors, you would see the error shown in a non-related line of the code. This is a pain for debugging weird issues. * Large projects make the IDE to occasionally go crazy. Only to be considered if you want to create larger Flash/Flex projects, and are willing to spend on the IDE! The only other serious alternative I have tried is IntelliJ Idea (which I wouldn't recommend for Flash/Flex projects). Handling of large projects is simplified with this IDE, only if you are using Flash/Flex! I use this to create/maintain network video conferencing like software (also using Adobe Media Server / AMS / FMS). There are a lot of areas that could use improvements, nevertheless (unfortunately) there is no other IDE for Flash/Flex projects that can even come close to Adobe Flash Builder. What I like most about Flash builder is that it includes an integrated interactive debugger that allows developers to execute code and inspect variables and visualize expressions. It was a bit difficult to install and learn to manage it since it is a little confusing at the beginning, with time you get used to it and great and easy to use it. Once you know how to handle it well you can save a lot of time when writing your codes, this helps you to make several programs in a short time and you earn more money. "Kim's review f survey monkey"
I really love the entire setup of Survey Monkey. U have used it many times OFF the jibsite as well. It has a very simple layout and is very convenient to use. The process is entirely self explanatory and all you have to do is follow the instructions. I don't dislike any part of Survey Monkey. This is a very fast convenient way to get everyone's opinions . Much faster than single emails. "More time to work on the code." It makes it easy to review the code and view the results. Search may be really slow sometimes which makes it painful. "With Adobe Flash Builder you can design and create so many applications." Is simply to use and have so many features that can provides an amazing development in a design. The product is not make to many devices and that difficult to work with it. This product is perfect to design projects and make animations with the indicate tools to your taste and your needs. For programming apps is the perfect tool, helps me to build all the features and central code. "Flash Builder is a great tool for developing Flash applications." I like most how simple it is to use, it makes other software look like garbage. It's extremely easy to build and test flash applications without ever leaving the application. I don't appreciate the current UI and I hope they can improve it and make it more to the likes of the Adobe CC Suite. Great strides have been made in making that UI. You'll love the software's usability. It allows the creation of flash applications to be scaled down into only a few steps. It's a great tool. Very easy to use. Mark up features are great to show 2D part and assembly drawing updates. The files are also always clear even when you zoom in a great amount. I can't easily change the text size when adding comments. You can use the bold and the subscript features, but they do not allow me to easily change the overall size of the writing. This causes the writing to be unbalanced with the actual page being markup up. Change text size and add additional symbols to the mark up features. Good use for shared power points that should not be edited. It is also good for part drawing and other documentation mark ups. I like that Abobe FB can be used with all platforms including Android and iOS. It is also nice to have built in support for any problems you may encounter. It requires extra work just to change from view to view. The drag and drop view is not as easy to work with versus the Flex visual designer. Trying to expand our business to a mobile platform. It is now easy for our customers to get a look at our business without needing to be on a computer. Especially those who are more on the elderly side. "Mature tool with all the necessary features"
The IDE provides code hinting and quick navigation that is helpful. Also, it has extensive debugging capabilities. No longer maintained so some of the exciting upcoming features were never implemented. If you're still creating applications using ActionScript 3 and/or Flex, this is the most common and well used tool. Creating complex web applications for document editing. Until recently, Flash was the best choice for creating applications of this nature. Learning about Adobe Flash Builder? * We monitor all Adobe Flash Builder reviews to prevent fraudulent reviews and keep review quality high. We do not post reviews by company employees or direct competitors. Validated reviews require the user to submit a screenshot of the product containing their user ID, in order to verify a user is an actual user of the product. Hi there! Are you looking to implement a solution like Flash Builder?